We have been providing our clients with reliable solutions to their most complex building projects since 1982. Today Anastasi Construction is under new management and has established itself as a medium size building Contractor specialising in Retail, Commercial and Residential construction. 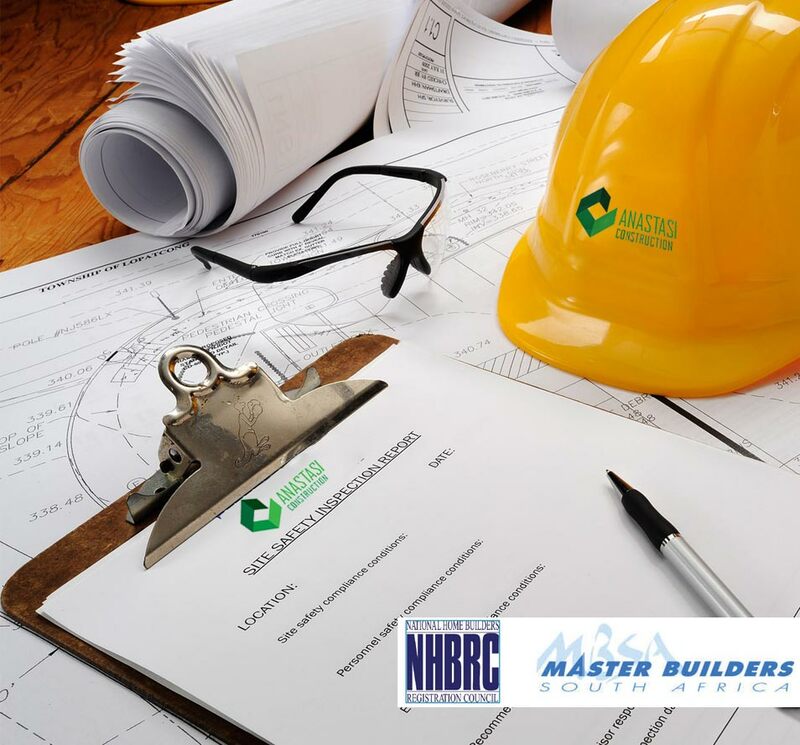 The Company forms part of the MBSA and NHBRC. The key to our success is our commitment to quality, cost, safety and time. With Anastasi Construction on your team you’ll find the experience, expertise and integrity necessary to manage and complete your next project on time and within budget. We create a safe working environment on site with specific emphasis on safety. We do not compromise on quality. We focus on empowerment as our main core. Working closely with owner-operators, architects, structural engineers, QS’s, and sub-contractors, Anastasi Construction seeks to fully understand our client’s needs to find the optimal solution to return value, save time, manage budget and operate in a safe environment. Utilising our unique and extensive range of skills, combined with the expert knowledge and experience of our people, Anastasi Construction strives to deliver an innovative and value driven solution. Always in constant consultation with our clients, we will develop a tailored solution for any construction project, adding value and becoming much more than just an ordinary contractor. Anastasi Construction’s aim is to partner with our clients to ensure that we grow together and create mutual value no matter the size of the project involved.